Maybe I am getting old but it does seem talk of Christmas seems to start earlier every year! We are only just over Halloween and already the shops have festive music, selection boxes and wrapping paper in prominent places! As a trained teacher though there is one place I totally understand preparing early for Christmas and that is schools.There is a presumption that schools and churches will put on an annual nativity play or concert of some sort and the organisation involved in these is tremendous. It takes months of preparation to teach children songs, practice words and prepare costumes. For many children and parents it is the highlight of their year. This year my just turned 8 year old daughter has asked not to be in the Christmas play. At first I was bitterly disappointed as Christmas is one of my favourite times of year and both my church and her school put on wonderful shows. But when she told me why she didn’t want to be included I actually cried. “I don’t enjoy it at all“, was what she told me. It is my duty as a parent to listen to my children and support them. She has a right to choose. 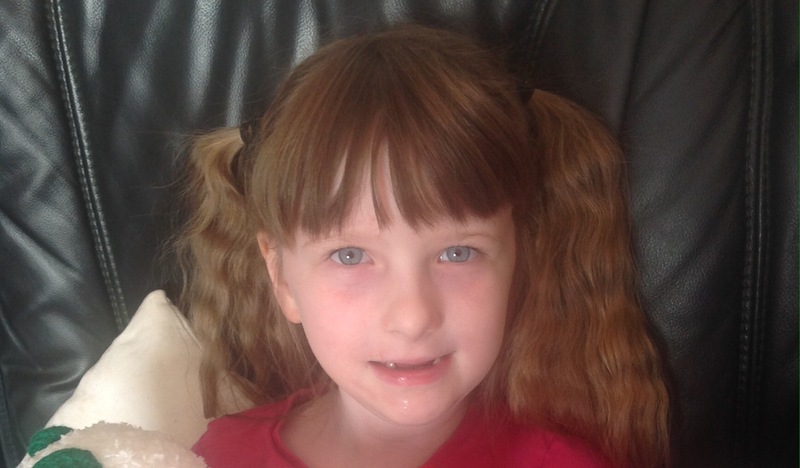 My daughter has selective mutism, anxiety and autism. Being on a stage in front of others, remembering stage directions, song words and wearing itchy costumes is something she finds so stressful. She finds the change of routine difficult and the nose frightening. The thought that everyone is looking at her makes her feel physically sick. I realised I wanted her to be part of it all for all the wrong reasons. I wanted it for me, not for her. I didn’t want her feeling excluded or feeling like she was missing out. In actual fact I was putting her in a situation that made her so uncomfortable and stressed. This year I will watch the church play and her school play and no doubt I will still cry at ‘away in a manger’and beam with pride at little children remembering lines. Instead of watching my little girl perform I will have the beauty of holding her hand as she sits next to me and cheers for her friends. She will sing the songs happily and for the first time I will manage to hear every word as her beautiful voice is right next to my ears. We will laugh together at the fun parts and share the experience in a way she finds relaxing and enjoyable. It will be magical but in a very different way than I imagined. It took courage for her to be able to tell me something she knew I would find difficult to hear. She knows how much I love watching her do things and she knows how proud I am of her. This year she knows I am extra proud though at the fact she felt she could tell me she doesn’t enjoy being part of the Christmas play. I will never forget her smile and the sparkle in her eyes the night I told her how proud I am of her for not being in the Christmas play this year. It is ok to be different. It is ok to say no sometimes too. This entry was posted in autism parenting and tagged acceptance, autism, choice, christmas, listening, respecting, selective mutism. Bookmark the permalink. ← Is the latest research on autism blaming parents or training parents? Thanks for sharing this. I struggled through my daughter’s first nativity play last year – she was clearly unhappy and struggling on stage for all to see. I cried many tears as soon as I left the hall and have been worrying about this year’s play, She is non-verbal so can’t tell me if she doesn’t want to take part but I don’t want to subject her, or us, to that again. Your post has made me realise I don’t have to – we can sit together and simply enjoy watching the show. I think we have all been guilty of that at one time or another. Naomi always say how you feel, When you do that then you have a chance to be the person you want to be. I am glad your daughter was able to tell you that she didn’t want to be in the Christmas play. I am sure that took some courage. Hopefully you both will enjoy it even if she isn’t in it.